Laura Mercer is a dance educator specializing in early childhood dance education. She also works full time at Dancewave as the D-Wave in Motion Manager. 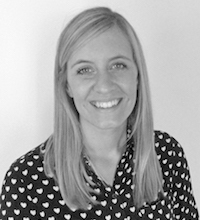 While completing a BA (Hons) Dance and Culture at the University of Surrey, Laura developed a keen interest in early childhood work and has carried out extensive research into the benefits of dance and movement play for the physical and social development of toddlers. In 2011, Laura set up her own company in the UK – Teeny Tots Dance and Movement. Through this, Laura continues to teach and train teaching artists in the UK to provide early years dance classes within community and school settings. Laura has a strong passion and enthusiasm for community dance and is delighted to be teaching at Dancewave.